Chelsea Houska, aged 27 years old, the actress has a height of 5’3” (160 cm). Her workout includes CrossFit training and kickboxing which helps her maintain a 33-24-34 figure. 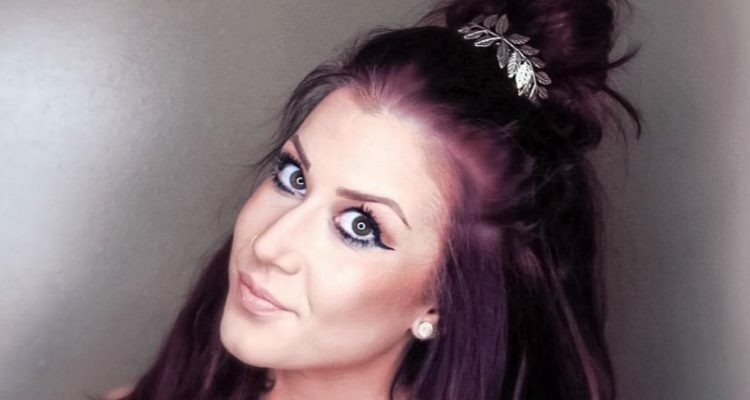 Chelsea Houska from Teen Mom 2 is looking great during her pregnancy. So how does she stay fit? Well, Houska is definitely not a stranger to trying out different healthy lifestyle changes or diets to improve her health. Best Known For: Chelsea Houska is best known for being on 16 & Pregnant and Teen Mom 2. Let’s find out how this star tends to her fitness with a regular workout and diet. Chelsea Houska has a lot to be happy about right now. She married her sweetheart, Cole DeBoer, last year and is already a mommy to her daughter, Aubree (who is seven), plus she recently welcomed her second child, a baby boy named Watson Cole. She posted “sweet” pics of her first child with DeBoer on Instagram Jan 25. Houska reportedly followed the Whole30 diet, which is an extensive diet and is pretty structured, so it is not advised for those who can’t really follow a plan. It involves eating a lot of whole foods (which is really the basis of any good diet). Some of the foods include fresh veggies, fruit, lean protein, eggs, good fats from nuts and seeds, as well as alternative oils like coconut, olive, and avocados. The diet also emphasizes unprocessed foods and those with very few or no ingredients as they are the most natural and most nutrient-dense. It also emphasizes an avoidance of added sugar. It’s no secret that added sugar is not good for anyone. Excess sugar causes chronic illness and diabetes, and it is converted into fat by the liver. Although Houska’s pregnancy diet was unknown, it’s not a stretch to assume that since she usually strives for good health, she probably continued to do so throughout her term. She could have been sticking to healthy eating and possibly also indulging in some of her favorite cheat foods. Was she working out during her pregnancy? That is not known for sure. However, prior to her 2016 wedding, Houska was working out with her friend. The two would do a lot of cardio together, going for walks and jogging. It’s not known if she did other forms of cardio like treadmill workouts, Pilates, or yoga. She probably kept her fitness regimen relaxed and light during her pregnancy.